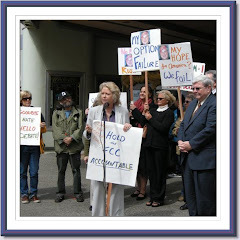 Sue Wilson Reports: Mobilizing for Media Reform! There's been a shift in energy since the election, can you feel it? It's like a big bright light bulb turned on and folks are, maybe for the first time, clearly seeing the media for what it is: a threat. A threat to our communities, a threat to our children, a threat to our democracy. So let's go! Watch the Broadcast Blues trailer . Read some of the pieces I've linked below. Get ready to get mad. Get ready to be inspired. Get ready to take action. "Putting the Public Back Into Public Interest Broadcasting"
"Lessons From the Right: Obama Tries to Regain the Message"
"Talk Radio Rules Blue Dog States"
Here's an Action Item that we're working on for next year. There's much more, just surf this site.